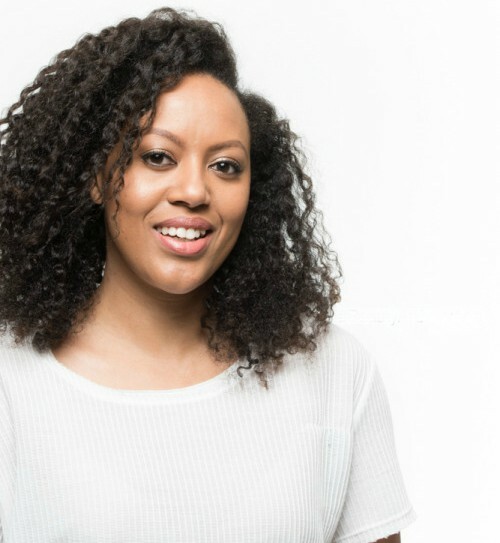 Janine Jellars is the former editor-in-chief of Seventeen magazine and has written for TRUE LOVE, ELLE South Africa, Marie Claire South Africa and Grazia South Africa. She was also named one of the 200 Young People to take to lunch by Mail & Guardian. Currently, she is the executive producer and co-host a feminist podcast called Frank, with her creative partner Tshego Senne. They focus on pop culture and hair and beauty at ThisHereHair.com. She is provides content and strategic support in the digital and social sphere. In this interview with me, she talks about her money habits. Is there something that you wish you had known or done financially when you were younger? It’s definitely linked to me maturing and growing up – I wish I’d shaken my ‘fear’ of understanding money and how it can work for me earlier on. My 20s were a financial wasteland! I grew up poor, but I didn’t really know we were poor until much later. I spent most of my early adulthood riddled with financial anxiety. I am a lot more comfortable with money and understanding money now. I’m not where I want to be at all, but I feel a bit more secure. What is your number one financial priority right now? Saving, saving and more saving and getting rid of pesky credit card. What is your best and worst money mistakes you've ever made? WORST: Store cards – never again! I have every loyalty card under the sun, but I don’t believe in store cards anymore. BEST: I can’t think of anything. One of the hardest things I’ve had to learn – and not just regarding finances – is to forgive myself. Make mistakes, learn from them, and get back on track. Don’t get caught in a shame spiral. That’s the worst thing you can do! What are you doing currently to ensure your family's financial well-being? Saving more – and being much more ‘adult’ about my financial decision-making. I’ve practically overcome my impulsive shopping habit, and that’s gone a long way to making me financially fit. At this stage, buying a property. I’m eager to get an investment property, like student accommodation. It makes the most sense for where I am in my life right now. What is the most expensive frivolous item you have ever bought? Designer handbag at Harrods, London. Close your eyes and swipe. What's your one personal luxury do you like to treat yourself to? Not often at all, but I do spend on leather handbags. I like nice things, every day luxuries like perfumes and manicures makes life seem so much fancier. I just don’t. If someone needs money, I give it without expecting repayment. That keeps everything super simple. Are you comfortable talking about money with your closest friends? My friends don’t know what I earn or where I put my money. I don’t really discuss money. But they do know when I’m broke – I’m not going anywhere or doing anything! What tools or resources do you rely on to keep your personal finances in order? Good old Excel. I’ve tried apps and all those fancy things, but I personally find budgeting using an Excel document the easiest. I created my own Excel document and update once a month. What tips can you share with couples planning a wedding? Don’t sweat the small stuff. Pro tip: your guests won’t know that you really wanted the gold rimmed water glasses and had to get the plain ones instead. So many couples break themselves over what guests want, but essentially, they’ll be fine as long as there’s a couple getting married, some food, some drinks, a cake and some music.